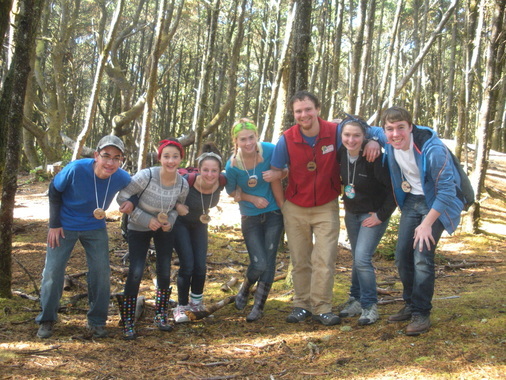 ​Student Leaders receive a full day of on-site training at Outdoor School, arriving the day before the sixth-graders. Our energetic, fun and amazing staff members will train, mentor and help you throughout your week as a Student Leader! Being a Student Leader is one of the most fun, inspiring and rewarding experiences you can ever have! 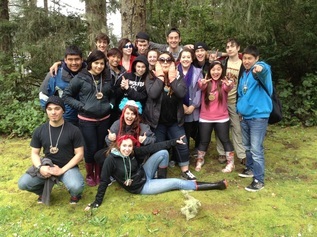 Student Leaders learn valuable leadership , teamwork, communication and teaching skills. 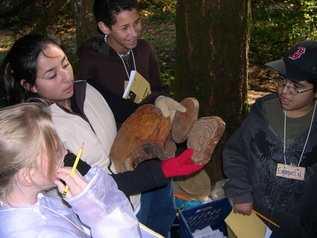 Student Leaders lead interactive, hands-on outdoor activities that are designed to be taught to small groups of sixth-graders, and are simple and fun. Each Student Leader is also in charge of a cabin of sixth-graders, living in the cabin with them and leading them in many cabin group activities such as games, icebreakers, skits, songs and more! You will make many great new friends from other high schools, some of whom could become lifelong friends. You will gain valuable volunteer experience that looks great on college, scholarship and job applications. You can earn transferable college credit, and many high schools offer credit, too! And, most of all, you will change the lives of elementary school students, often in ways that you'll never know. If you are a Student Leader, or are interested in being one, please review the resources on this page to find out more about Outdoor School Student Leading, and check out this video on YouTube.